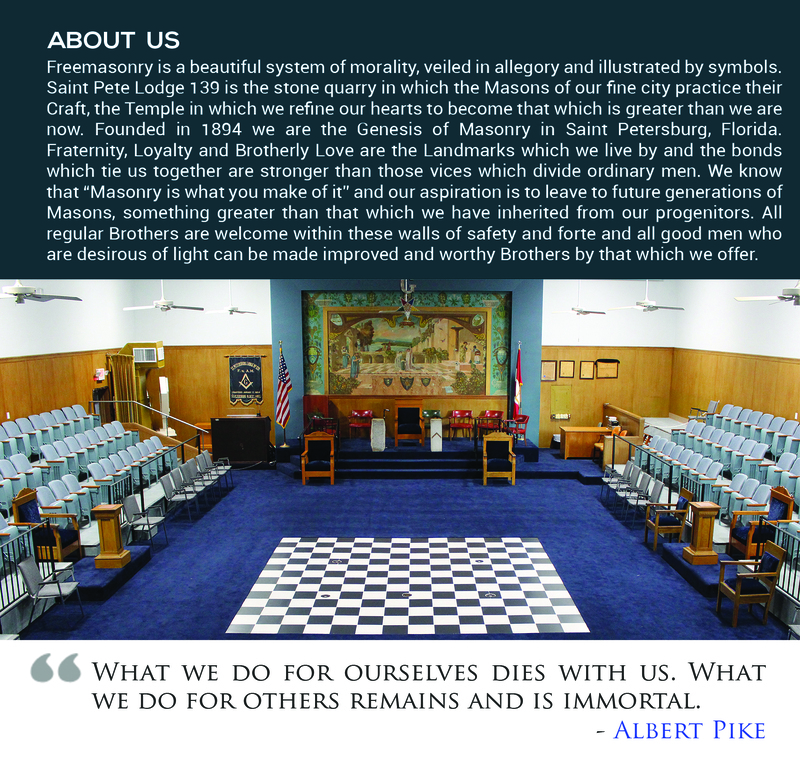 Each year every Regular Lodge of Freemasons elects a new Worshipful Master and new officers to govern The Lodge and carry out the various duties of Freemasonry within the Lodge and the local community. 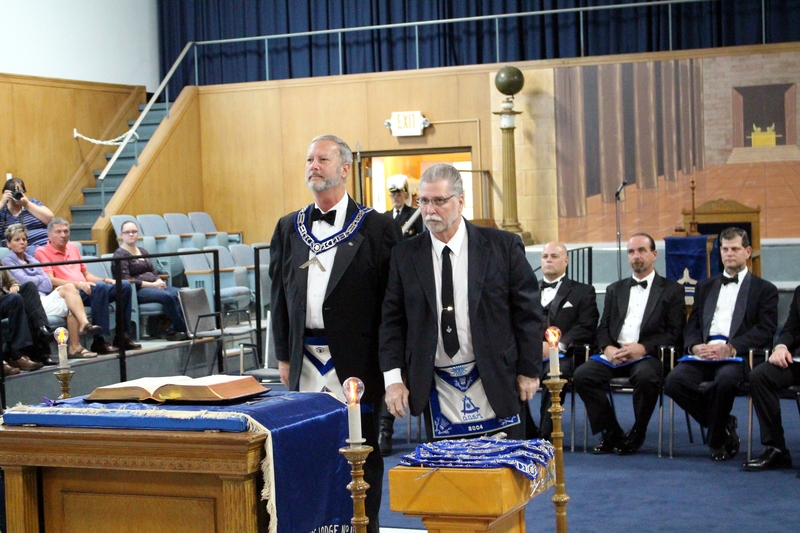 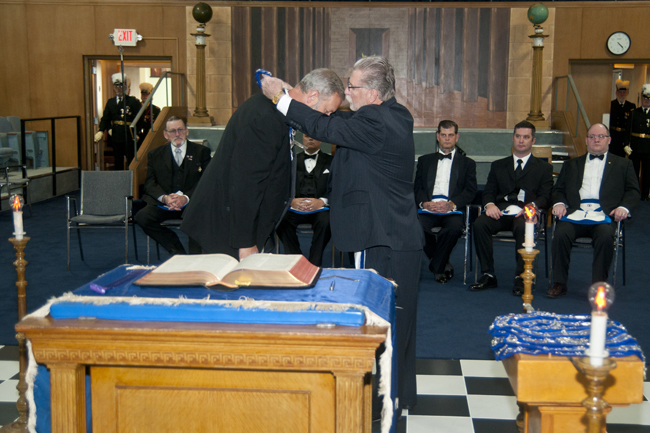 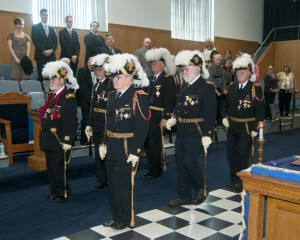 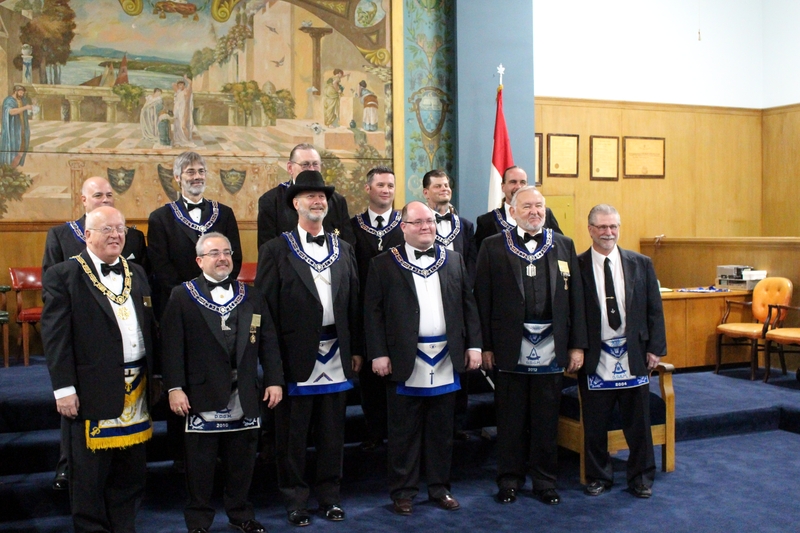 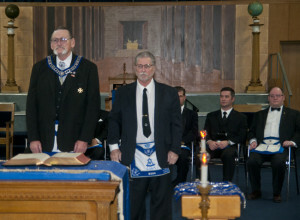 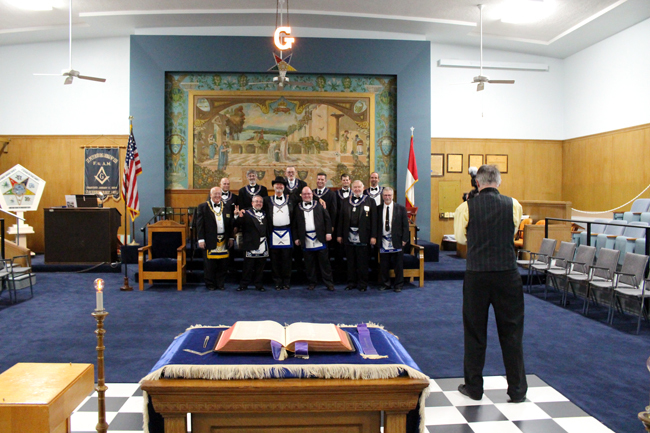 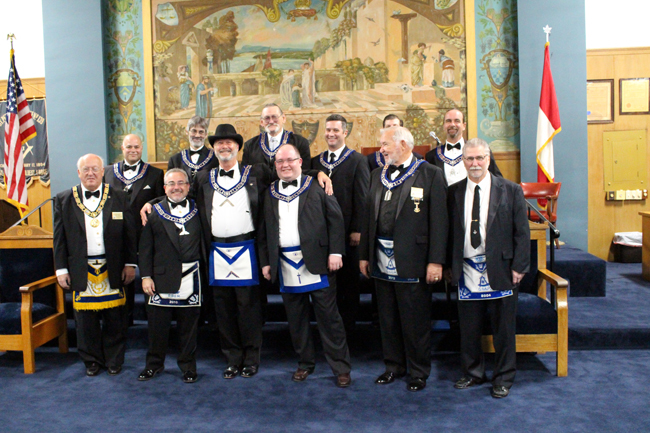 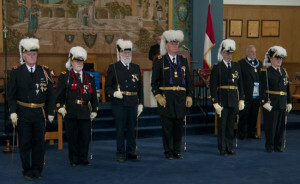 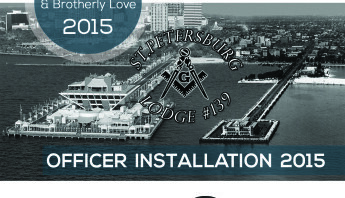 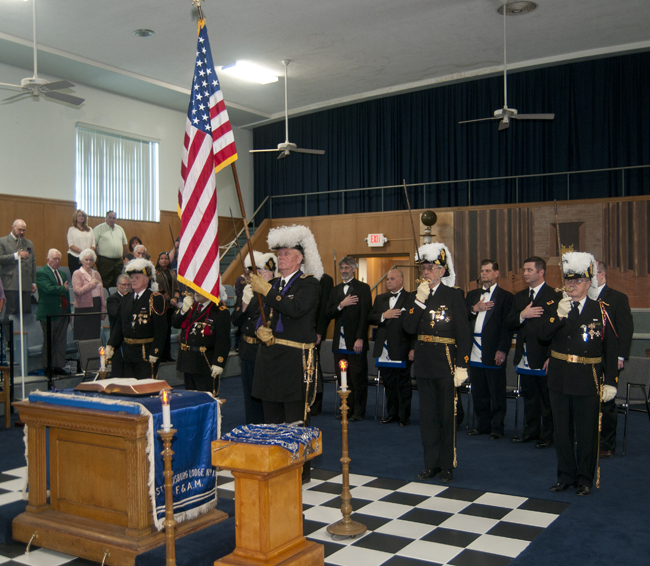 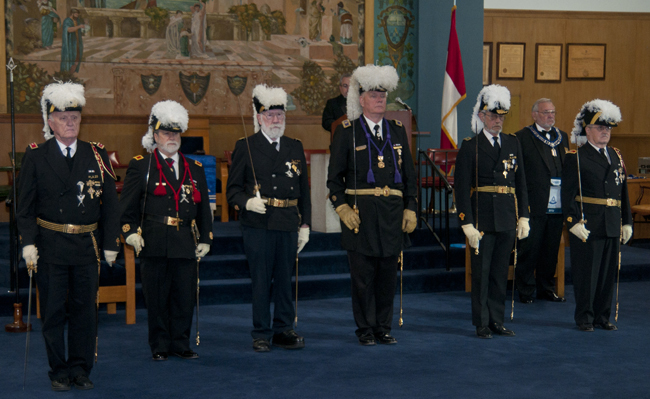 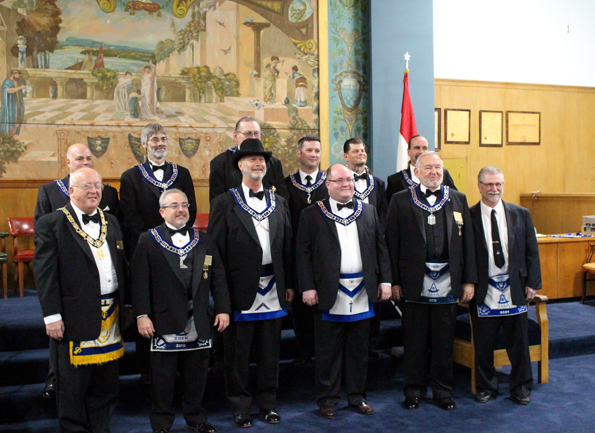 On January 17th 2015 Saint Petersburg Lodge 139 held its official Installation of Officers Ceremony, Semi-open to the public. 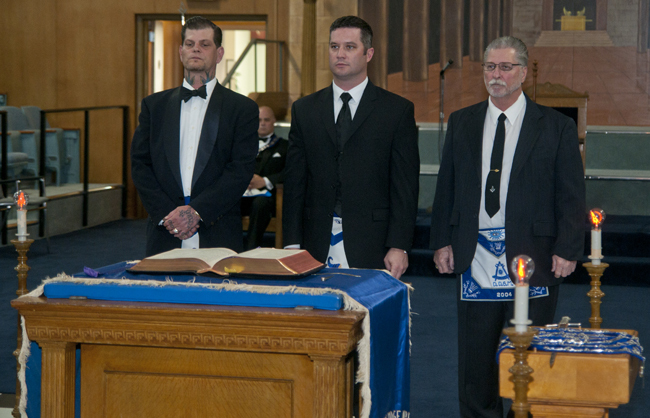 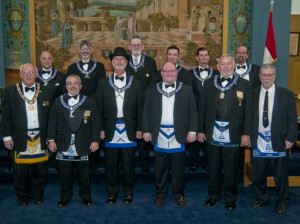 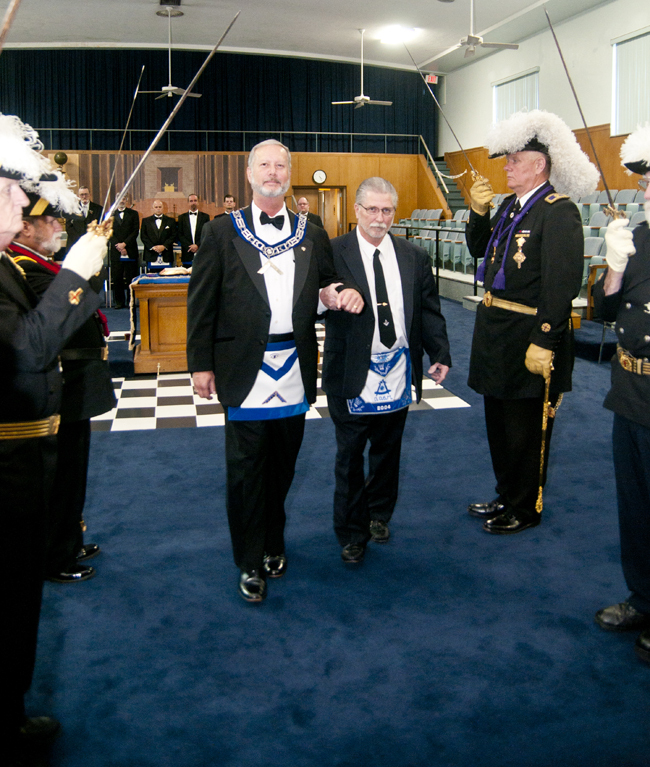 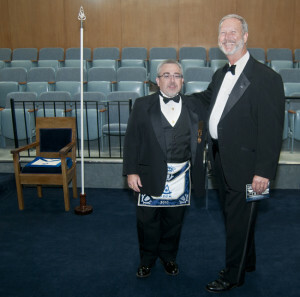 While most of the ceremonies performed by Freemasons are secret, the Installation of newly elected and appointed officers is generally open to friends, family and members of the public who receive an invitation invited. 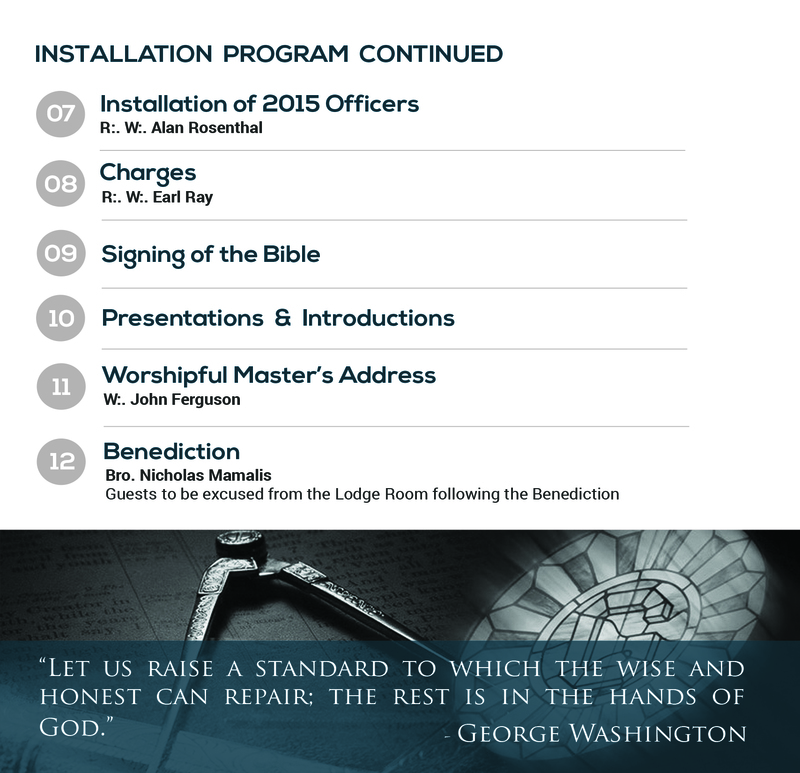 This is the 121st Installation performed by our lodge since its founding in 1984. 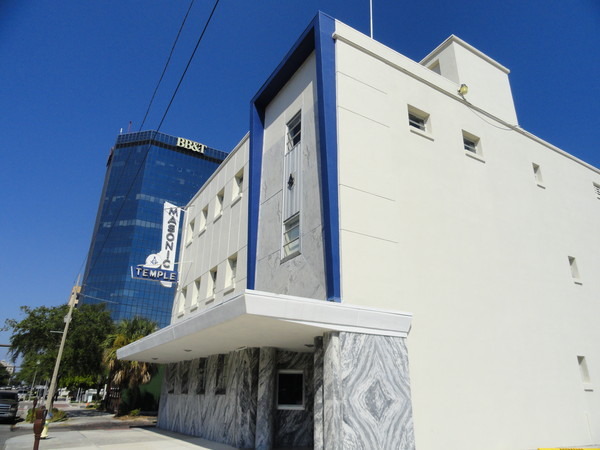 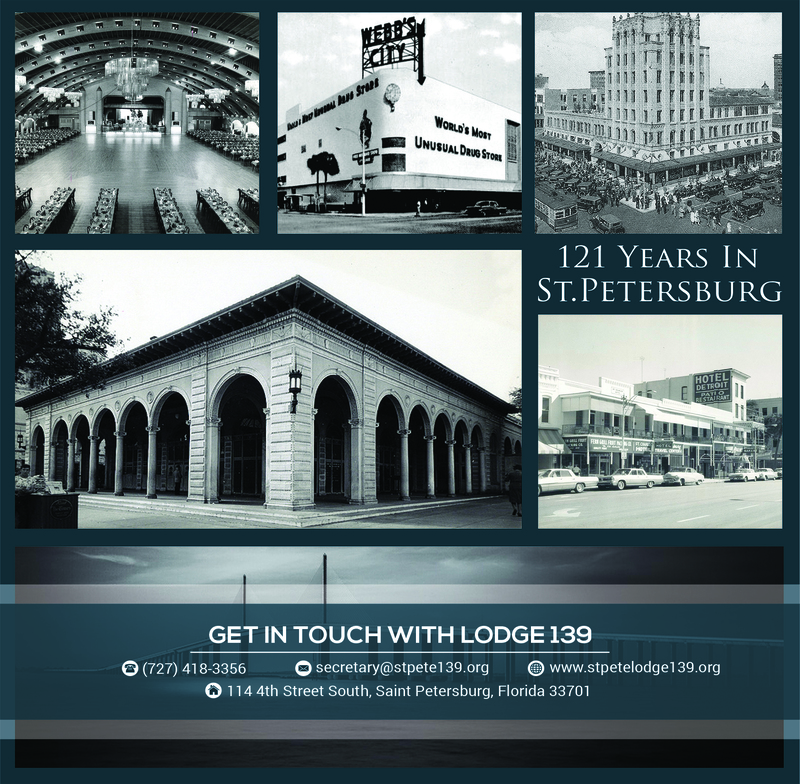 As you can imagine Saint Petersburg Lodge 139 is the oldest Masonic Temple in Saint Petersburg Florida and it’s almost as old as St. Pete herself. 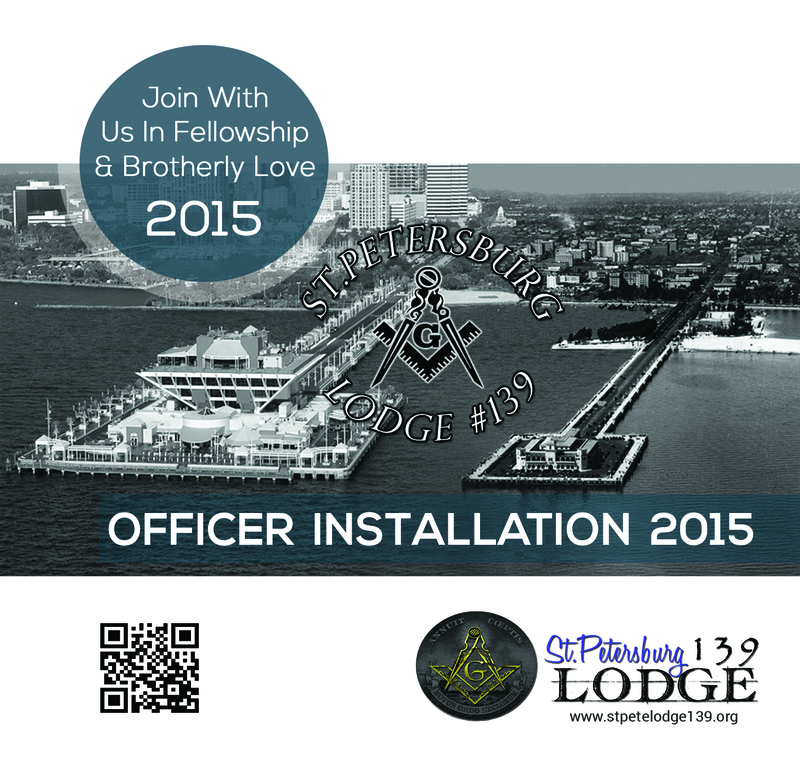 We are The Mother Lodge from which many others in our beautiful city have sprang forth and flourished. 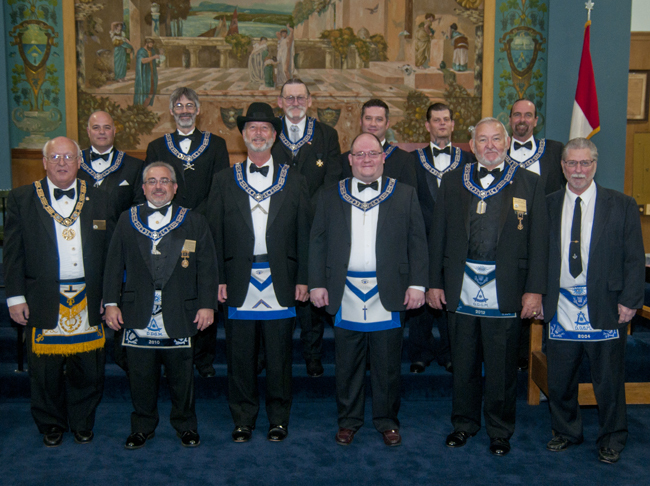 While The Lodge has performed this beautiful ceremony 121 times since its founding, this is the first time it has ever been recorded live and shared with the world. 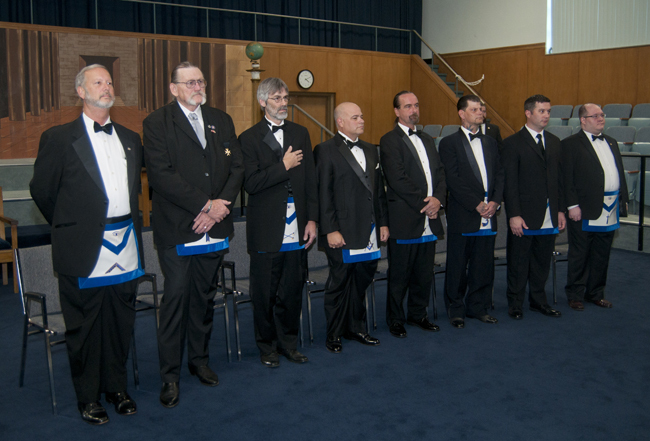 Each year new generations of Freemasons begin their journey “Up The Line” of officers which will eventually lead them to “The Chair” of the Worshipful Master. The Worshipful Master, who is the supreme authority in any Lodge of Freemasons governs The Lodge and the body of membership who belong to The Lodge. 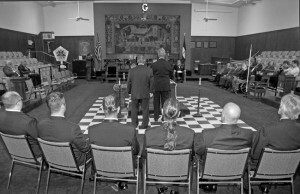 It typically takes about seven years for a Freemason to complete the Journey to The Chair and become Worshipful Master. 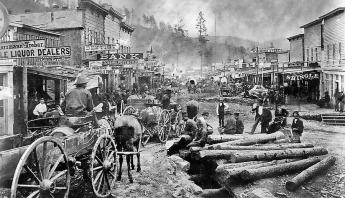 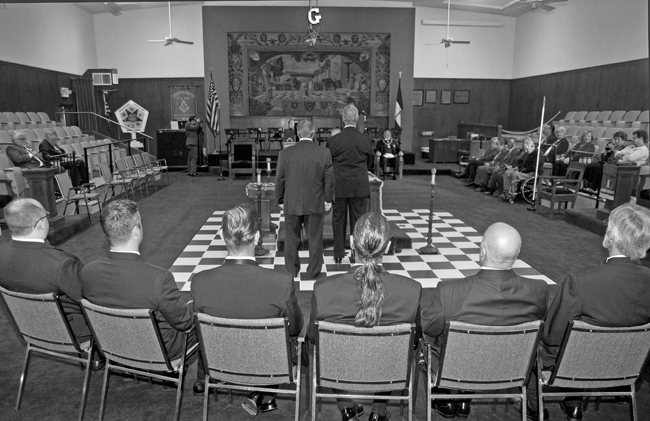 Those in The Line must serve The Craft and their Lodge. 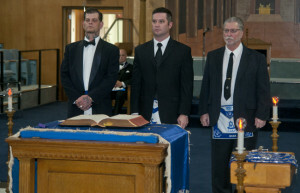 The Journey is one filled with Charity, Service and Self Sacrifice. 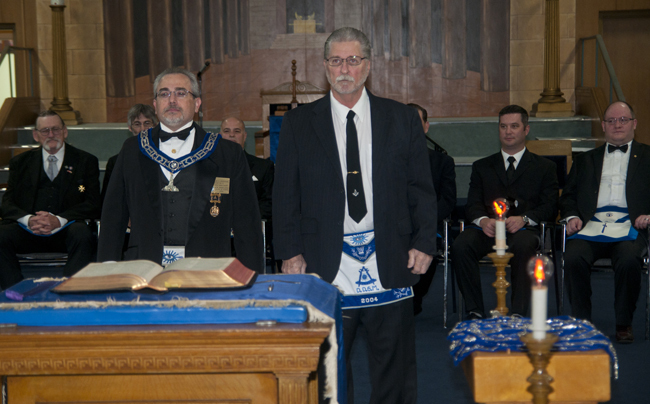 Just because a Freemason is on his Journey Up The Line does not guarantee that he will become Worshipful Master. 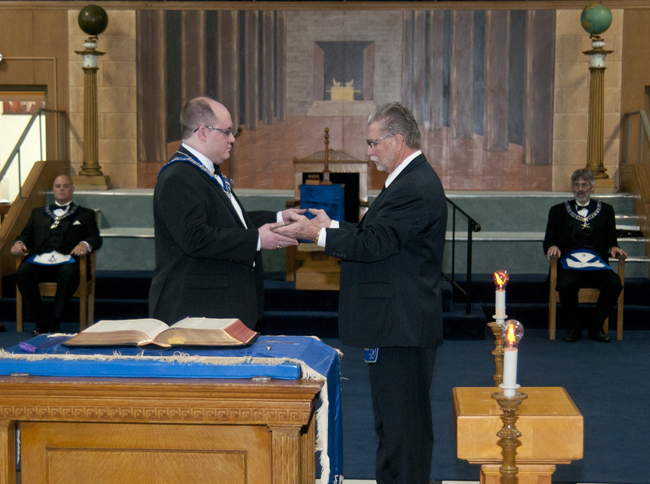 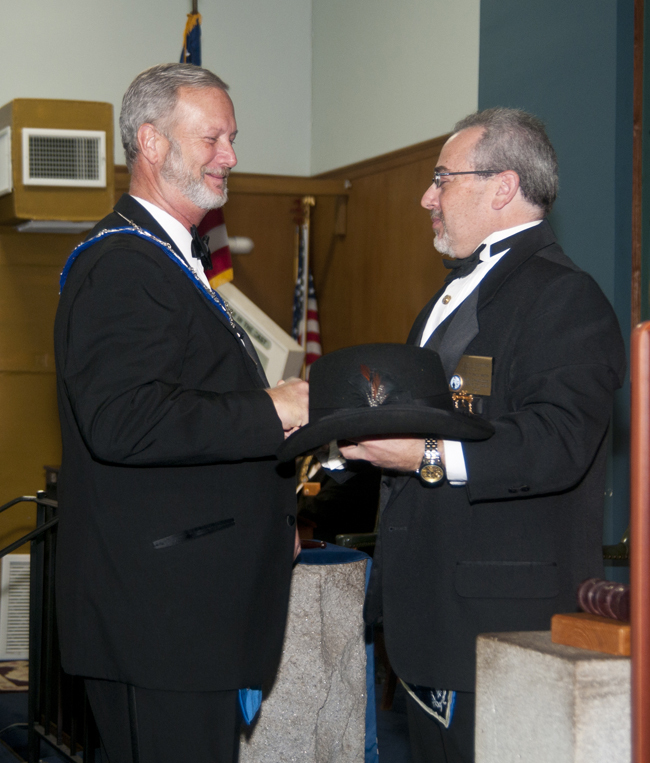 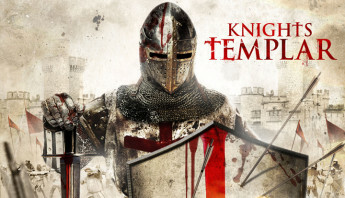 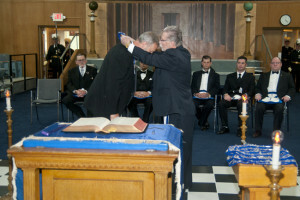 He must serve in each position, learn his work, serve The Craft and obey the lawful masonic orders of The Current Worshipful Master each year as he advances. 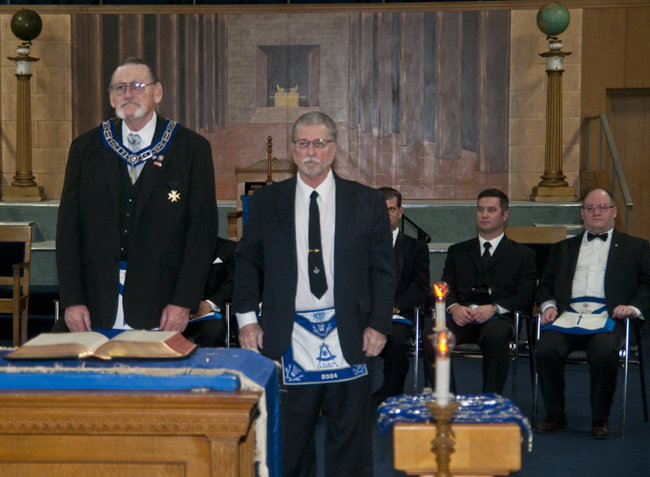 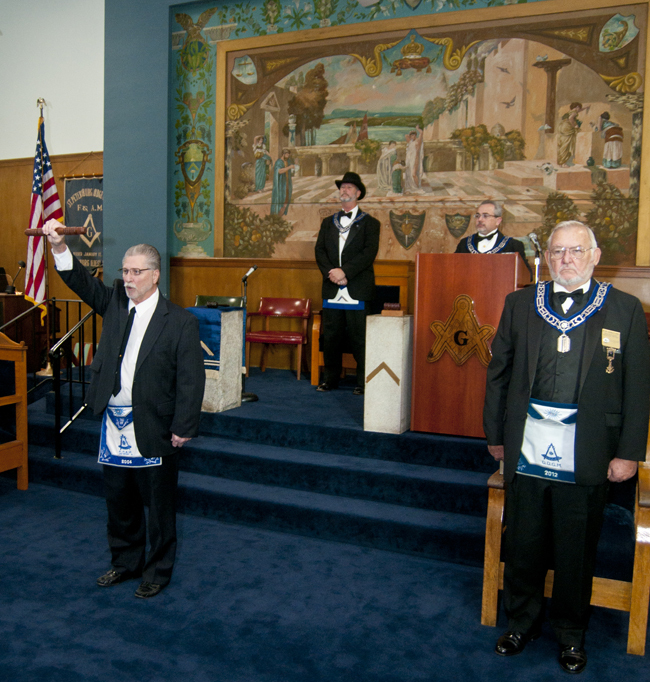 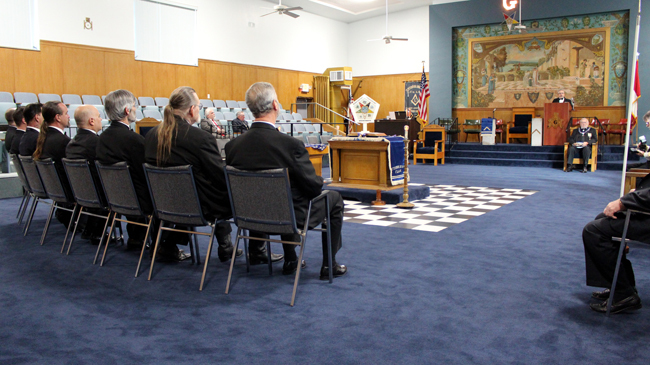 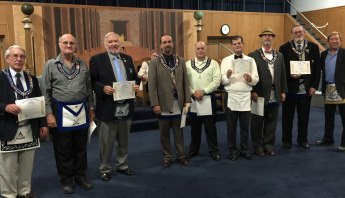 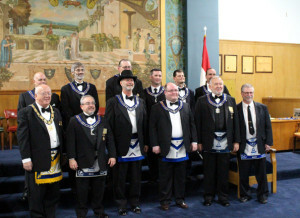 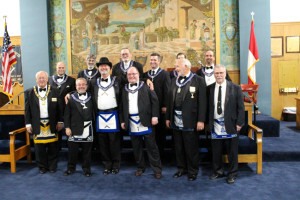 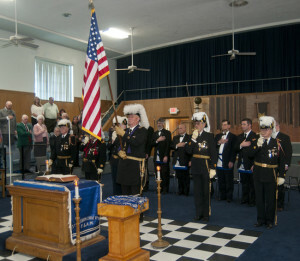 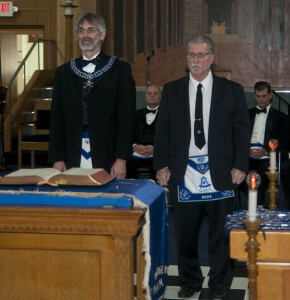 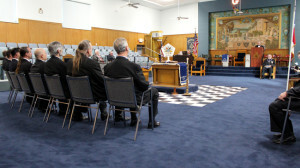 Each year The Craft comes together to elect the top three positions in their Lodge. 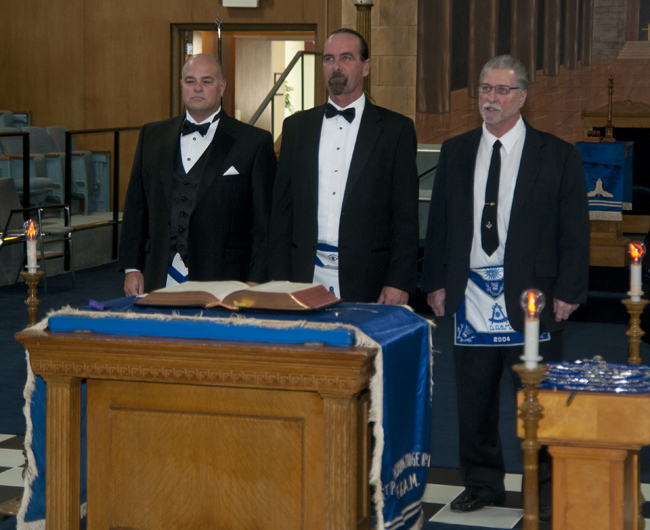 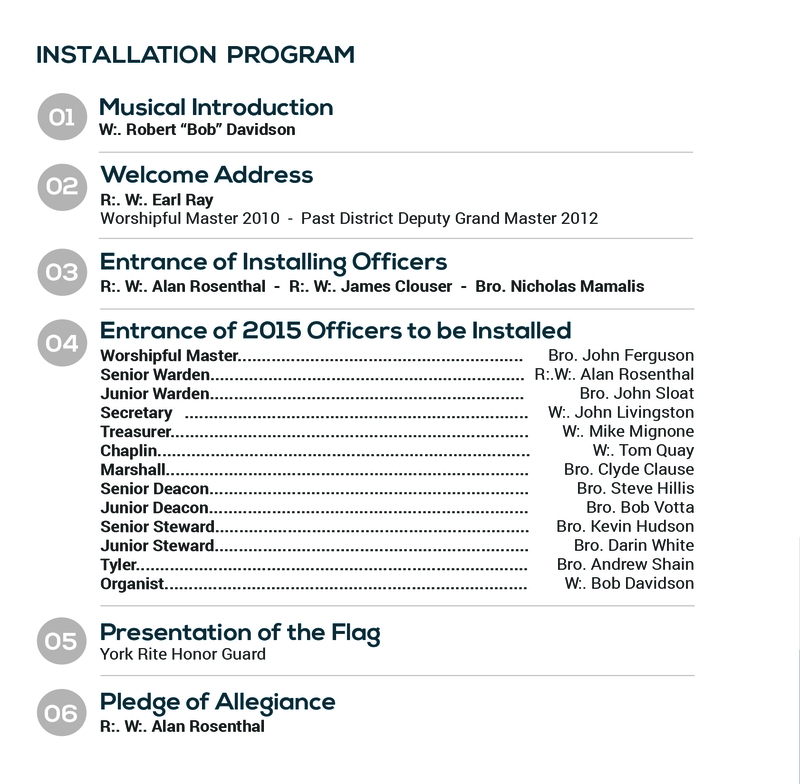 The other positions are appointed by The Worshipful Master and serve in their stations at His Will and Pleasure. 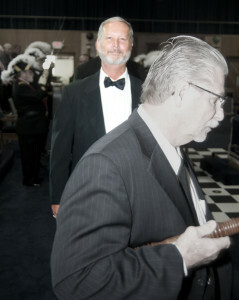 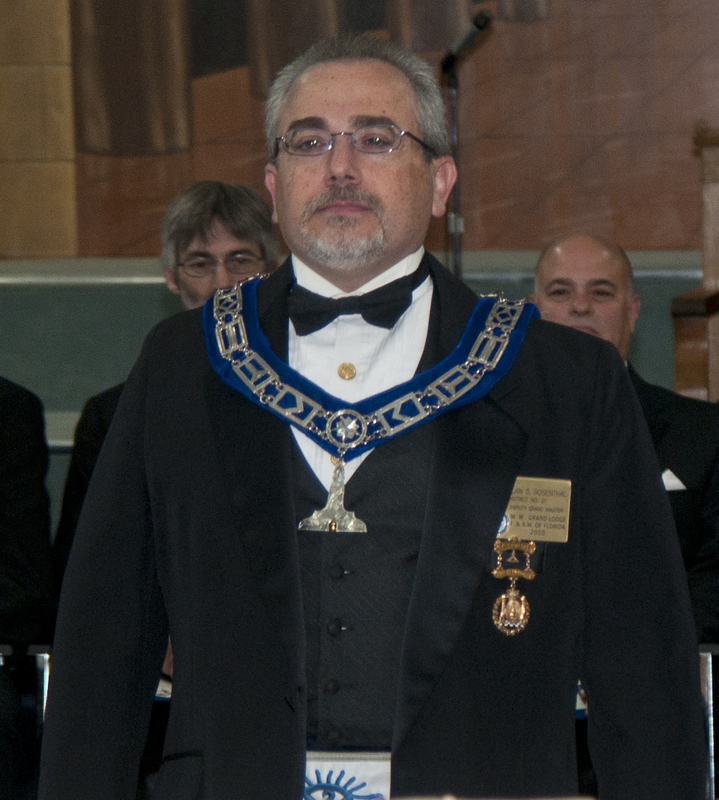 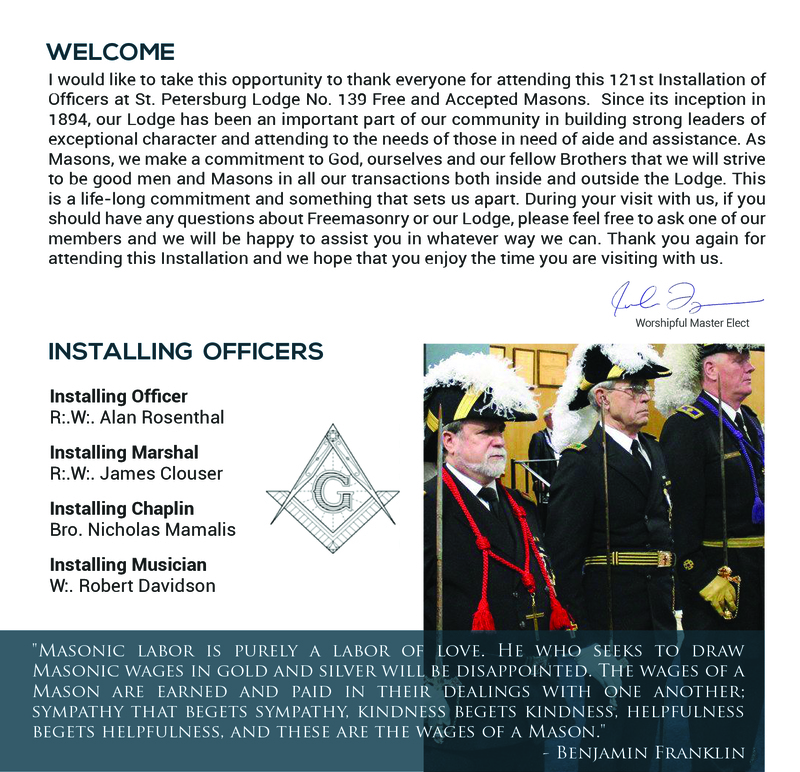 Click Here to read and/or download the Worshipful Master’s address (speech) to the craft.